How to reset all settings in Adobe After Effects CS? 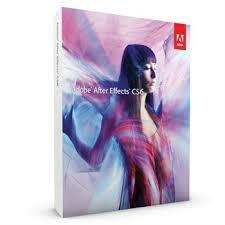 Adobe After Effects is a software product developed by Adobe, used for movies, and video post production. 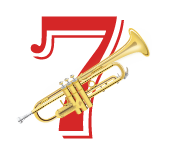 At first it is a software product from Macromedia that has now become one of the Adobe products. Adobe After Effects is a very professional software for Motion Graphic Design needs. With the combination of a variety of existing of design software, Adobe After Effects to be one reliable software of design. Standard Effects which reached about 50 kinds more, which is able to transform and animate objects. In addition, create animations with Adobe After Effects, can also be done by simply typing some script code which is called Expression to produce a more dynamic movement. Adobe After Effects has important features, such as having to make the Shape tool (such as those found in Adobe Photoshop). There is also Keyframe such as those in Adobe Flash (also animate almost the same way). There is also Expression which is almost similar to the Flash Action Script, and many others. How to Resetting Adobe After Effects Preferences? While using Adobe After Effects, many users tweak the program’s settings and end up with unwanted program’s behaviors. Resetting your Photoshop preferences can fix problems that you are having within Photoshop, and is a good thing to try. This simple guide will show you how to restore Adobe After Effect’s settings to the default state. Double click on Adobe After Effect’s icon. When a dialog box appears, click Yes. Warning! This procedures will put all of them back to factory default, so you may need to readjust some things after you do this. After you delete preferences, new preferences are automatically rebuilt for After Effects. Read also “Resetting Adobe Premiere Settings to Default” and another guide. Hopefully the article of How to reset all settings in Adobe After Effects CS? useful for you.